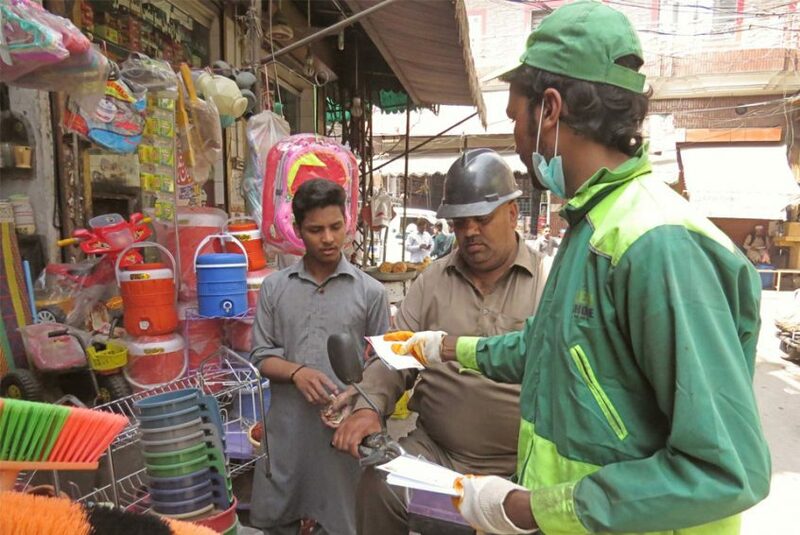 As a part of Clean & Green Punjab campaign, Albayrak Waste Management carried out a market awareness drive on Khokhar Road, UC-23 on Friday. Albayrak team established an awareness camp in the area, showcasing awareness brochures. The team went shop to shop to educate the local shopkeepers about disposing of garbage properly. The shopkeepers were also requested to educate customers as well to ensure clean surroundings. Speaking on the occasion, Assistant Manager Albayrak Sohail Mehmood said that the purpose of arranging the cleanliness & advocacy drives in Lahore was to disseminate the message of sanitation and plantation among the public to achieve a Clean & Green Lahore. The weekly activity was concluded with an awareness walk in which Albayrak officials, natives of the area and sanitary workers participated.